Let the Lithuania landscape slide past your window as you travel 40 minutes to Trakai, located 18 miles (28 kilometers) west of Vilnius. Learn more about the Grand Duchy of Lithuania, the Battle of Grunwald, and Vytautas the Great (1392-1430). See the best that Vilnus has to offer. 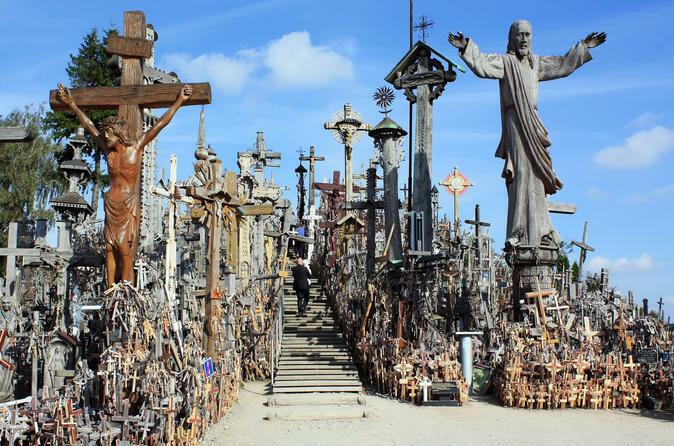 Discover The Hill of Crosses, Lithuania's most impressive and inspiring religious sights, on this day tour from Vilnius. This unique historical architectural monument attracts many people due to its peace, spirituality, authenticity and sacred nature. More than 250 thousand crosses every size and design stand on Jurgaiciai mound near Siauliai and became a symbol of Lithuania's Catholic faith and national identity. Another sightseeing point is the park, which was established to remember the resistance war against Soviet regime ad which you will be seeing first. 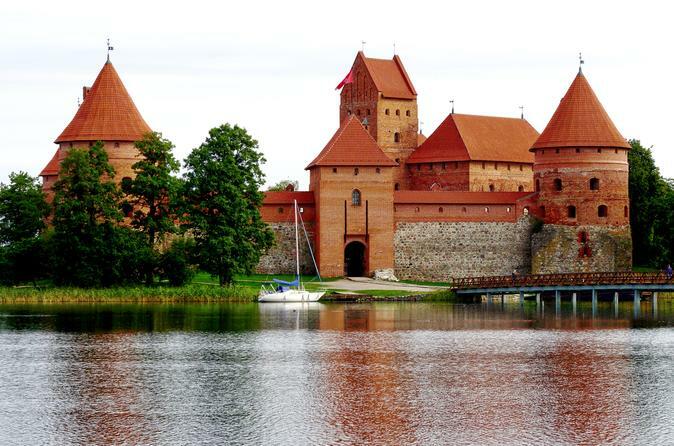 This tour takes you to Paneriai Memorial Park and the picturesque Trakai Castle. Step back in history while you soak up the atmosphere in Paneriai Memorial Park and spectacular Trakai Castle by the lakes. 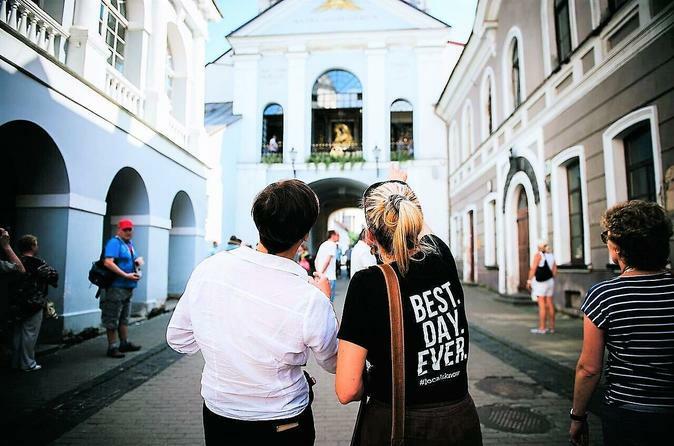 See top Vilnius attractions, visit quirky neighborhoods and sample tasty Lithuanian tidbits and beer on a 3-hour city walking tour! 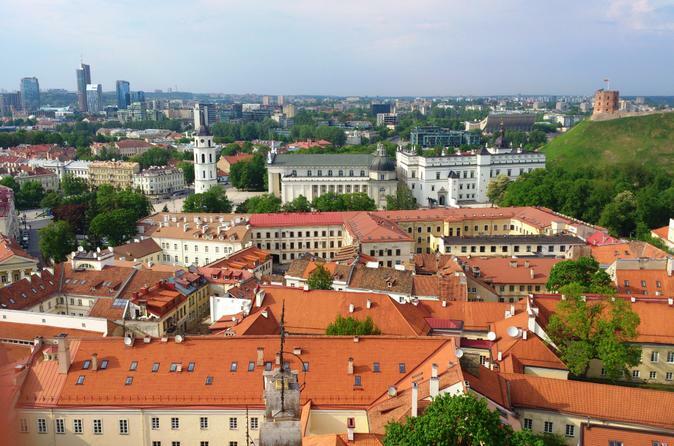 With a local guide to show you around, your tour includes visits to Vilnius’ UNESCO-listed Old Town, St Anne’s Church and the neighborhood of Uzupis. Learn about the city’s culture and history, and then finish the tour inside a local brewery sampling some local delicacies. 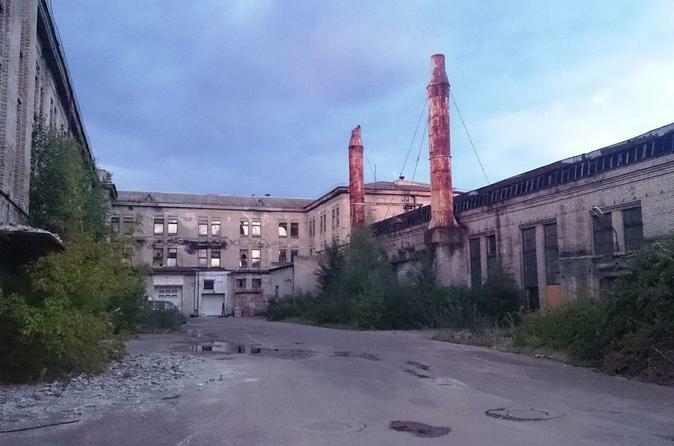 Step back in time and explore 50 years of Soviet rule on this 2 to 2.5-hour walking tour of Vilnius. 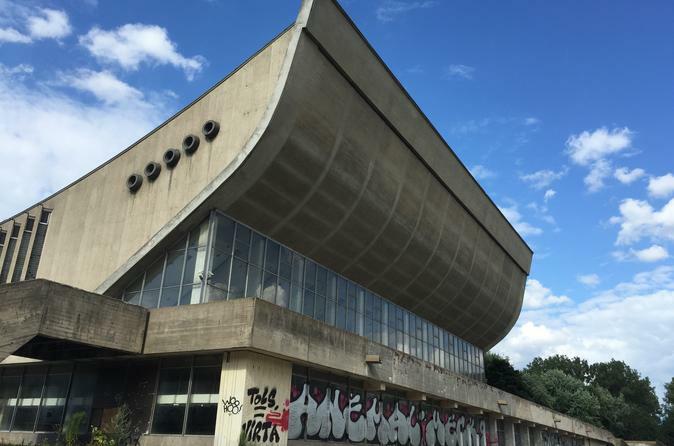 Follow a guide through the grand streets of Vilnius and enjoy some imposing Soviet-era architecture. Discover the most famous Soviet heritage sites such as Palace of Concerts and Sports, National Opera and Ballet theater, etc. As you explore, gain insight into life in Vilnius under Soviet rule and find out how this bustling city ticks. 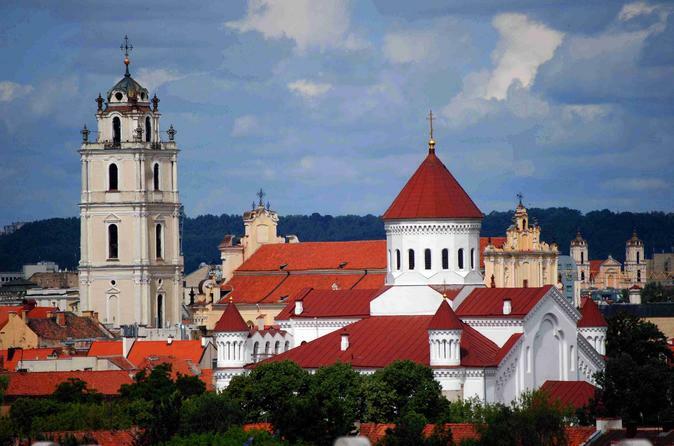 Vilnius, the capital of Lithuania, is one of the least visited great cities of Europe. 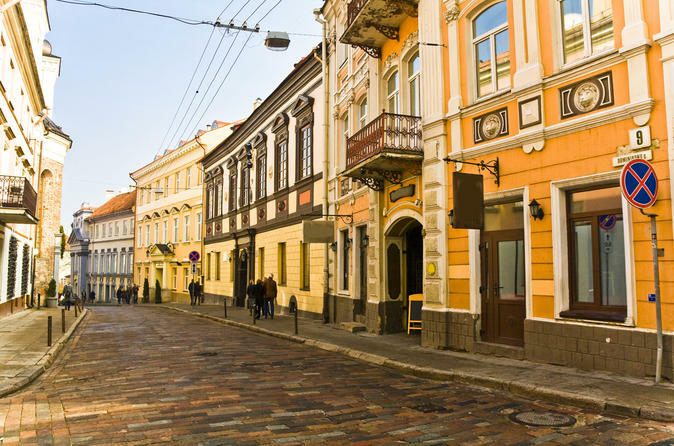 While the masses are cramming the streets of Prague and Paris, Vilnius is waiting to be explored. This guided 3-hour tour is a nice combo of food and history, revealing the best of the Old Town and some delicious local cuisine and drinks. Visit specialty delis to sample smoked meats and fish and locally made cheese. Step into ancient Gothic and Baroque churches and get an insider’s view of the city’s history and culture from your guide. This small-group tour is limited to 12 participants to ensure a quality experience. 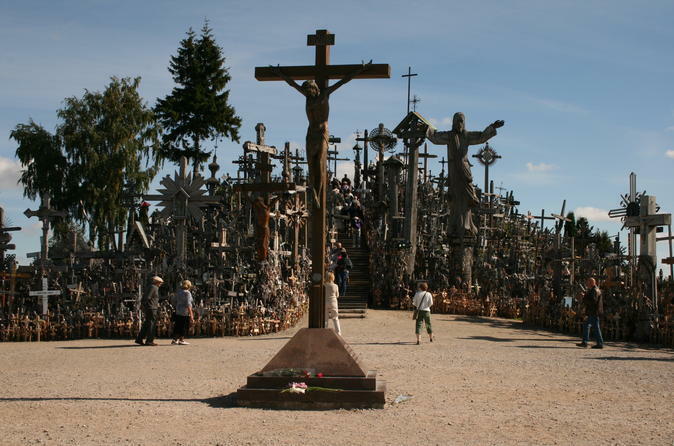 Discover Siauliai's remarkable Hill of Crosses on a private tour from Vilnius. Just a short drive north of Siauliai, the Hill of Crosses is home to thousands of crosses left by pilgrims over the centuries. This tour brings two great things together – Vilnius and beer. 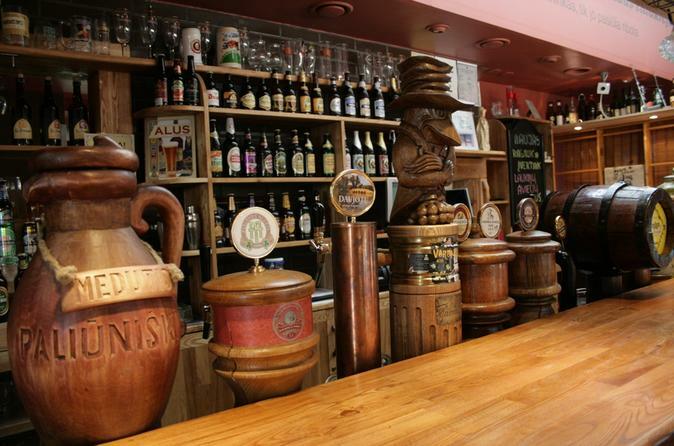 During this guided tour, you will visit 3 to 5 different city pubs. Experience different styles of Lithuanian small brewery beers, all the while enjoying Vilnius culture and its off-the-beaten-path streets. Embark on this unique Vilnius City tour and marvel at some of Vilnius' most iconic sights such as the architectural stunning old town, Napoleon's beloved St. Ann Church, historical Vilnius University and the magnificent Cathedral square. It doesn't stop here. Continue to be taken into Vilnius' hidden spots to see the republic of Uzupis with its own constitution, exclusive St. Peter and St. Paul's Church, Literary Pushkin manor, authentic Exile Memorial, wonderful Puckoriai exposure with beautiful panorama and more. 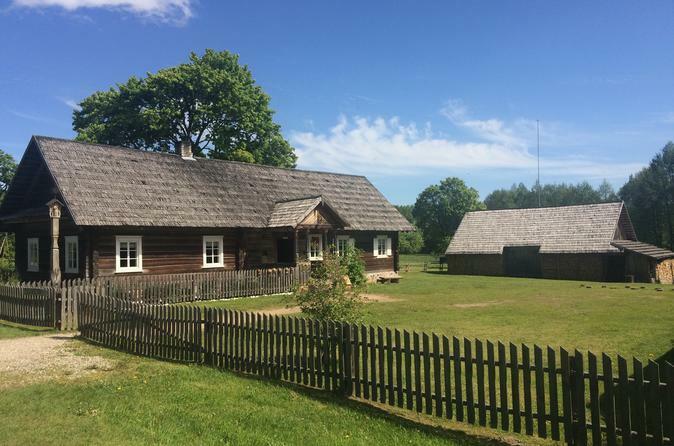 Embark on a day trip to the Aukstaitija National Park and marvel at Lithuania's breathtaking natural attributes and historical facts and fall in love with Lithuania's wonderful landscape. Visit Anyksciai, Architectural monuments, ethnographic crafts, the tallest Lithuanian church, ethnographic museum and the famous devil’s stone. 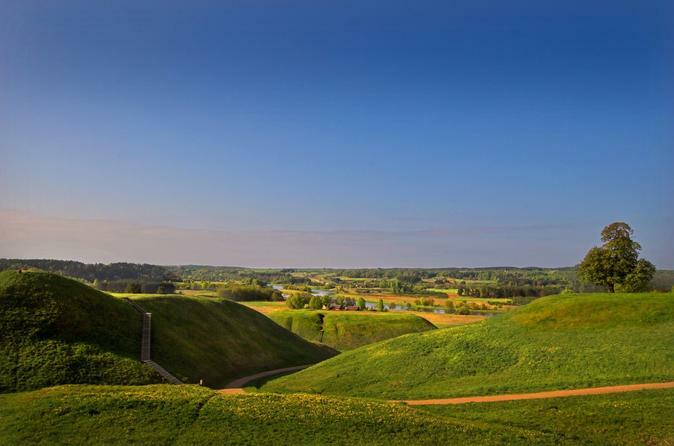 Enjoy this tour and take the opportunity to see three towns vital for the history of Lithuania. 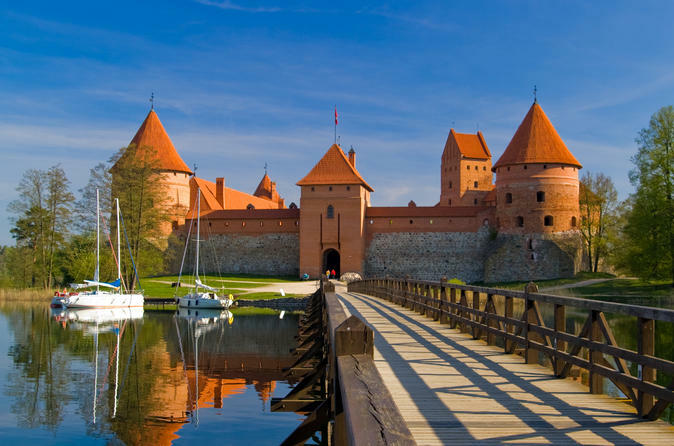 You will explore Kernave with its Unesco-protected hill-forts; Trakai with its wonderful Island castle; and Vilnius an its Unesco-protected old town. You can customize this tour and include optional sites for free - Dukstas forest path with a wooden Pagan sculptures, Uzutrakis mansion, Peter and Paul church in Vilnius, Uzupis district. You can also enjoy a Boat trip in Trakai (for additional charge). Lunch and entrance fees are not included in the price. Discover the rich historical heritage and stunning natural surroundings of Trakai, an idyllic island home to an ancient architectural array, on a full-day private tour from Vilnius. 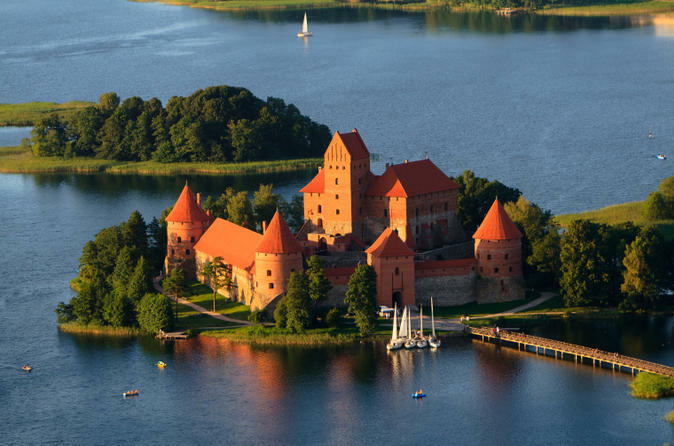 With a knowledgeable private guide, discover the 15th-century Trakai Castle and enrich your knowledge of the lakeside resort's varied ethnic groups and culture. Admire the glittering surface of Lake Galve and stroll past antique monuments scattered through the city. Receive the undivided attention of your guide on this private tour. 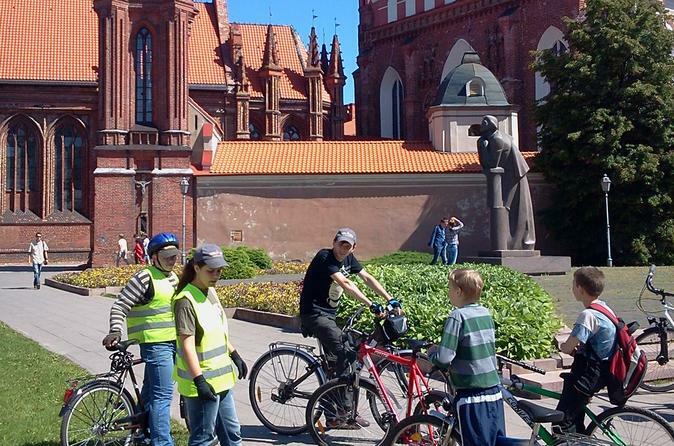 Join this 3-hour interactive city bicycle tour and see that there is so much more to Vilnius beyond the Old Town. Every tour is different and depends on your personal interests. With biking, you can travel much farther than on foot, but still experience everything up close, in a way that you couldn't by bus. With a professional guide, discover the city like never before and see sites such as Vilnius Old Town, St. Anne's church, Bernardine Gardens, Gates of Dawn (Ausros Vartai), Vilnius old Town Hall, Vilnius City Wall, Republic of Uzupis, Church of St. Anne’s and St. Bernardine, Cathedral Square and much more. 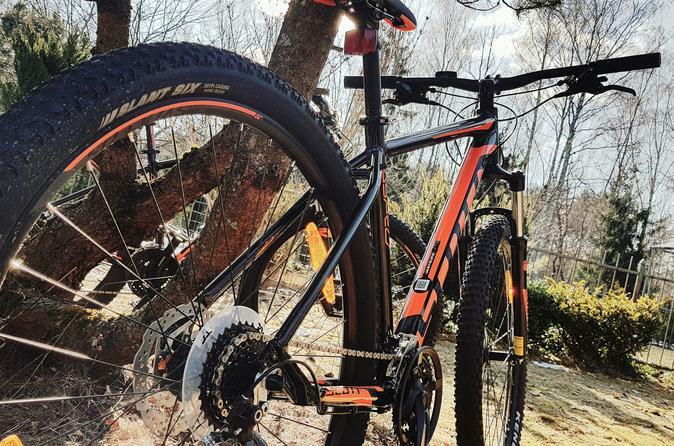 Get active on a mountain bike ride through a huge park east of Vilnius. The route stretches along rivers and hills, with an amazing view from ‘Pučkorių atodanga‘ in between.